Well, I started off the year with great intentions. I was going to blog often and and try to post many relevant topics. We never know however what life has in store for us. It has been a bit of a rocky start to 2011 but I am hoping to get back on track. First, I had a car accident at the end of January that totaled my car and left me without a car for a while. 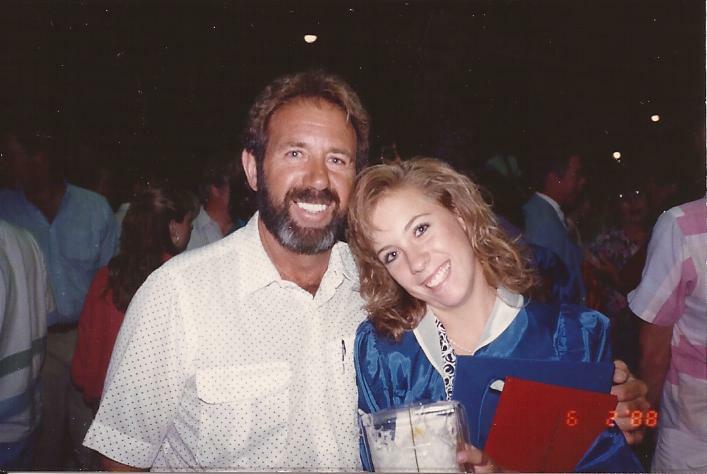 And even more difficult, I lost my dad unexpectedly almost two weeks ago. It has rocked my world. I didn’t grow up with my dad as my parents were divorced but as I entered my teenage years we grew closer and spent a lot more time together. He was my dad but he was also my friend. In many ways he was larger than life. He loved joking around and had a great sense of humor. He and I shared a passion for tennis and we spent many hours on tennis courts playing or watching one another play. I thought I was doing pretty well the other day and thought playing a little tennis might get my mind off of losing him. It had the opposite effect. I arrived at the tennis club that we played at so many times and got really choked up as I walked past court 5 where he often was. I could see him there with his buddies and all of our memories flashed into my mind. As I played tennis that night I felt he was there with me but this time I just couldn’t see him. It was tough playing that night knowing he wouldn’t be there in person again but I made it through my match and know that over time it will be easier to be there. I love my dad and feel he left this earth too soon but I know he is watching over me. 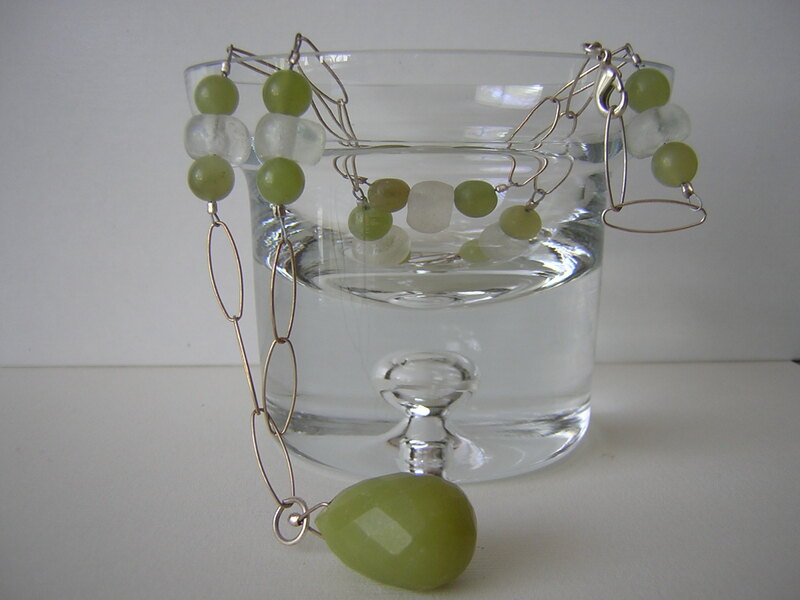 I am trying now to move forward with my life and that includes getting back on track with making jewelry. He would want that. This one is for you dad! See you again someday!! Goal setting is an extremely important part of your business as well as your life as a whole. Goals give you direction and help to keep you focused. Without focus it is easy to spend time working hard but going in many different directions. As a result, you may find that you are not reaching the level of success you were hoping to achieve. Goals not only help give you a sense of direction but help you to stay organized, be effective, make better decisions and to stay motivated. Best of all, goals allow you to measure your success and give you a sense of accomplishment. I usually start by brainstorming what I want to achieve and what would make me happy. At this point I don’t worry about putting them in a goal format. I take these thoughts and put them into my yearly goals . Then I break my yearly goals into monthly and quarterly goals and tasks. This then becomes my working plan. As I review my goals, it is important for me to not only review what I have accomplished but also what goals I did not meet and why. For me, it is usually because I am missing the knowledge that is needed. If this is the case then I know that I need to seek out help or information so that I can continue on the road to success. Take some time to think about these and make sure to address them when setting your goals. Don’t let fear stand in the way of your success! 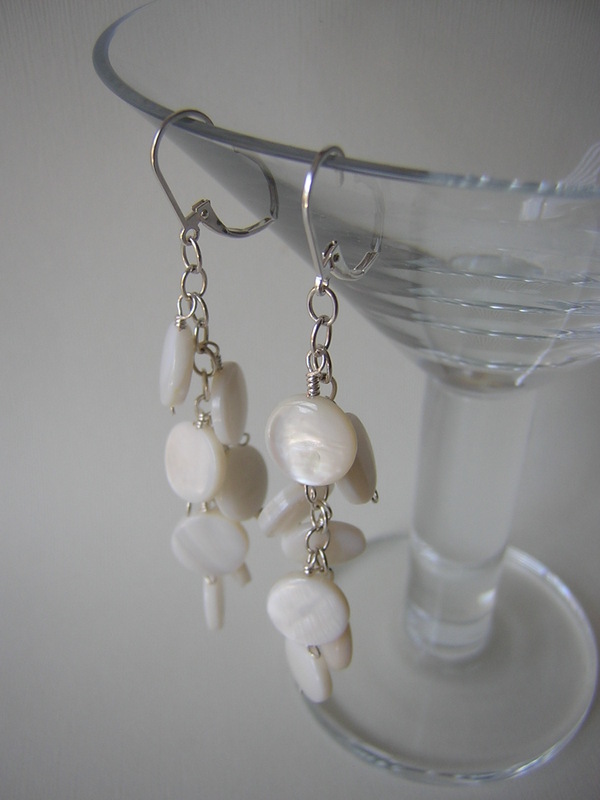 As the new year begins, I have found a new home for my White Dog Studios Jewelry Blog. All of the posts from Blogger have been moved to their new home on WordPress. I am looking forward to posting lots of great information this year and always welcome your comments. Welcome to White Dog Studios Blog! I hope you have a fabulous 2011 and that it is filled with love, good health, prosperity, and peace! I have been asked to donate items before and I have done it, partially because I have worked for nonprofit organizations and feel a certain kinship for the people who approach me, and partially because I thought it might help boost my business. Last fall, I was heartened to hear that a piece I donated to a local nonprofit went for full price at auction, but it resulted in no business for me. I thought about it, but respectfully declined. I happen to really like this bracelet. 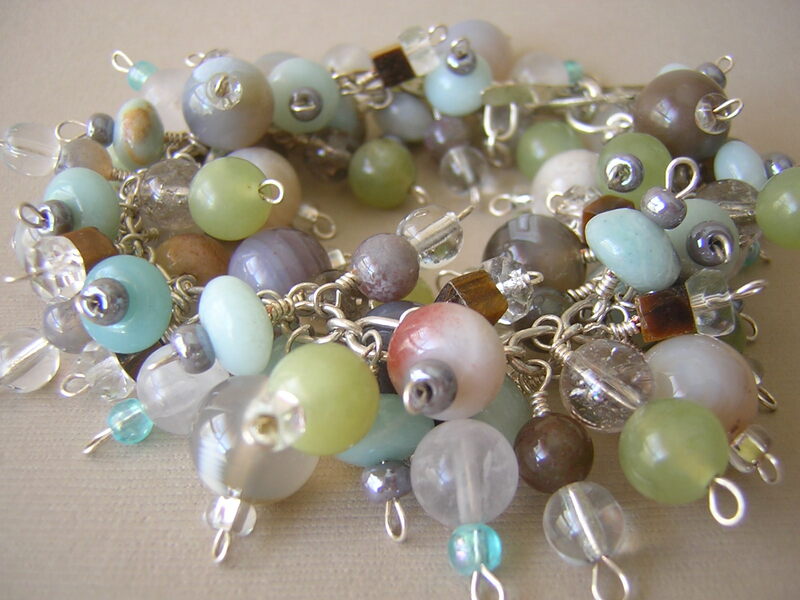 I bought the beads at a cool little shop in Laguna Beach on my weekend birthday trip a couple of months ago. 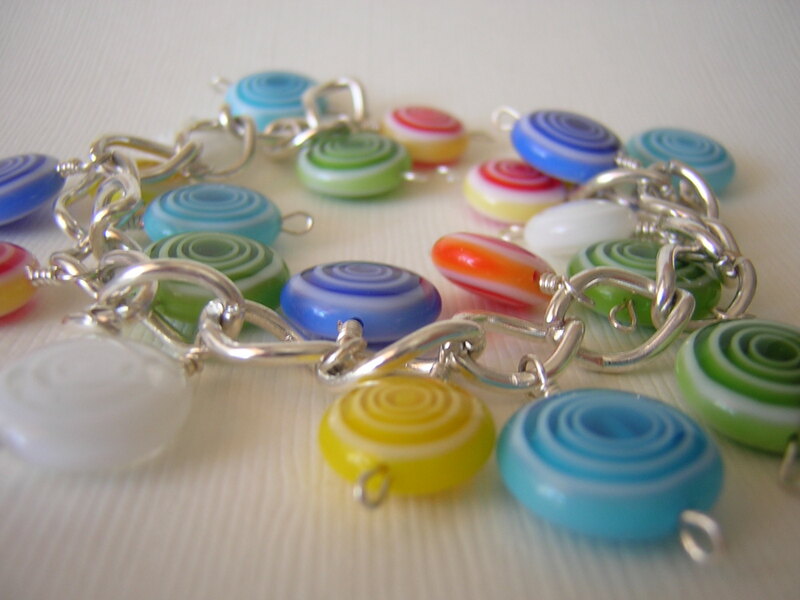 I was looking forward to making something fun with the beads and I am thrilled with the results. I would be even more thrilled if I sold it! I think there is a time and a place for donations, but at this time, I don’t have anything available for free. I work hard, as I know all of you do, too, to produce something unique and valuable for my customers and while I try to keep afloat in “this economy”, I need a return on my investment. Right now, the warm feeling of giving cannot equate with the cash that I need to keep my business viable. There are a couple of Etsy threads going on right now that are addressing the concept of low prices equally the perception of low value. Does something priced low give the impression that the item is not as worth owning? I have to say, “yes”. I have only made a few Etsy sales – a lot of my sales are done offline – but I have noticed that is is my more expensive items that sell. Anything marked “SALE” just sits there. Would lowering the price make a difference? I don’t think so. For one thing, I think this bracelet is worth $110, given the time and the materials. Second, I don’t think that a buyer is suddenly going to jump on it because it is less. In fact, their perception of this bracelet’s value will probably go down. So, I will not lower the price but, instead, wait for the right buyer who recognizes the true value of this piece. For someone who really just wants to focus on creating jewelry, the business side of things can be overwhelming. Marketing, promoting, tracking…ugh. 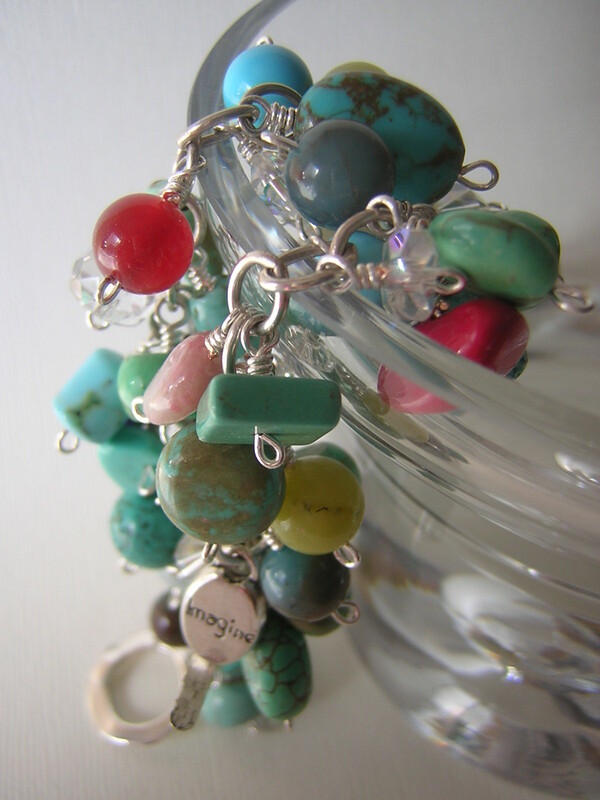 Yet, if I am ever to reach my goal of supporting myself as an independent jewelry designer, then I need to get a handle on the business side of my business. With that in mind, I have spent a lot of time the past two days reading about SEO (search engine optimization). I was happy to find a great deal of useful information on the Etsy forums. There are a lot of people who use Etsy as a hobby, but I am also finding that for many people, they DO make a living from their art and Etsy serves an important function for them. So, why not take the advice of people who are doing what I want to do? I changed the tags, too. We shall see if it makes a difference, but it makes sense to me that I need to think like a buyer, not like a seller. I recently made a necklace using a little bit of something old and a little bit of something new. A customer had found some old charms (as in 40 years old!) 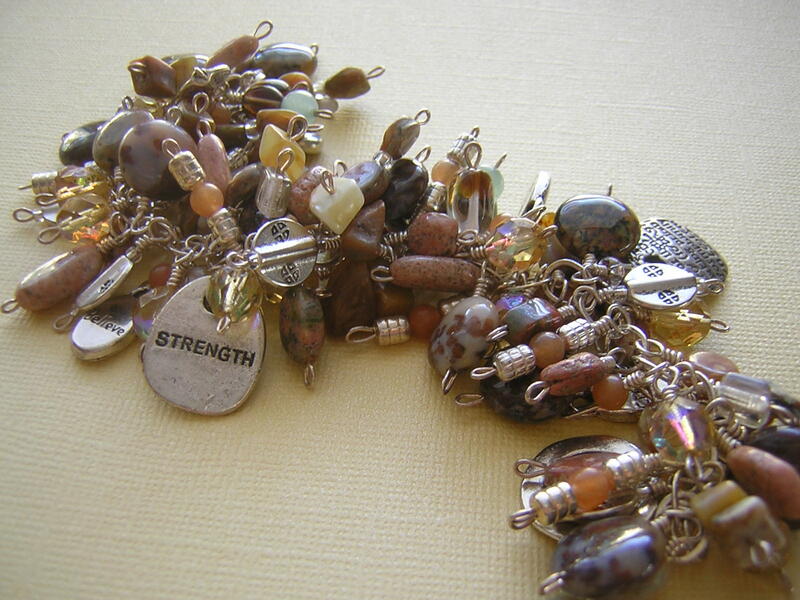 that she assumes her mother had engraved with the intent of making a charm bracelet. 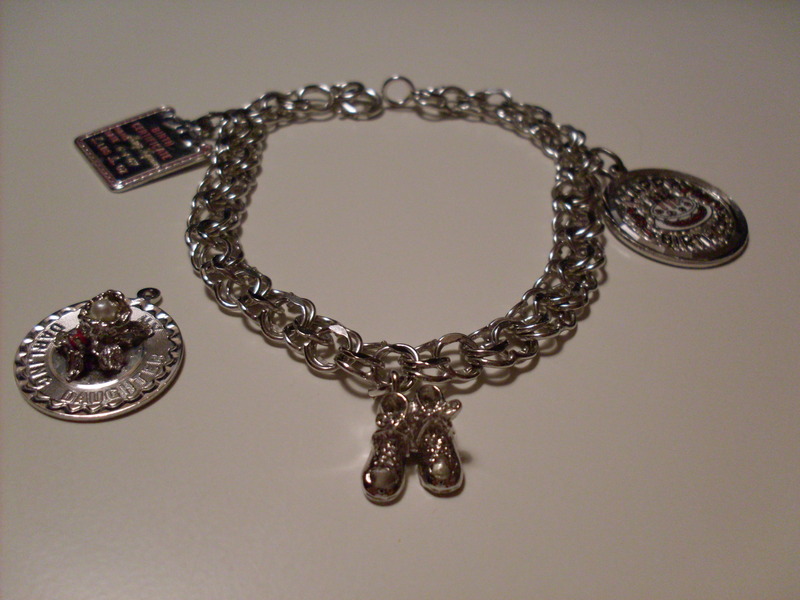 Most likely, she intended to add a charm every year on the customer’s birthday, but the charm bracelet was never made. 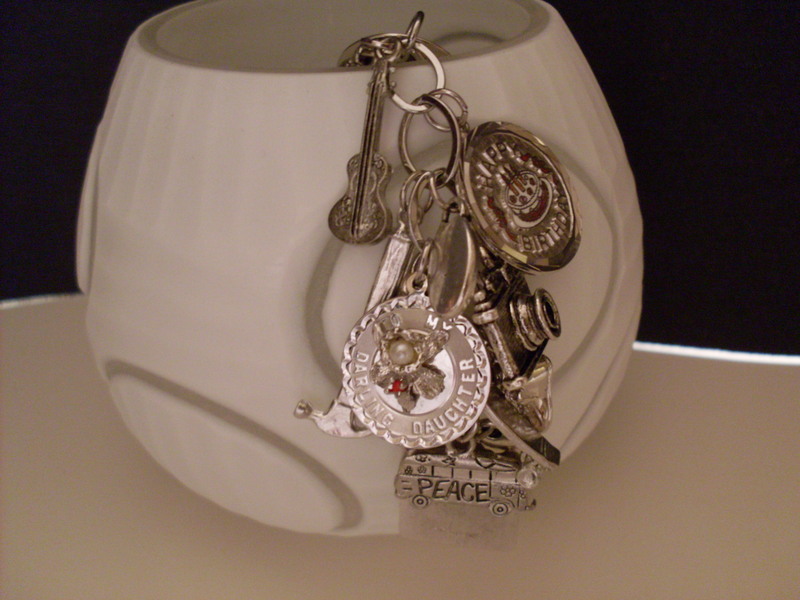 However, I gave those old charms a new life by mixing them with new charms that reflect the customer’s current interests, such as a camera, a cute VW bus, a dog, a hammer, etc. 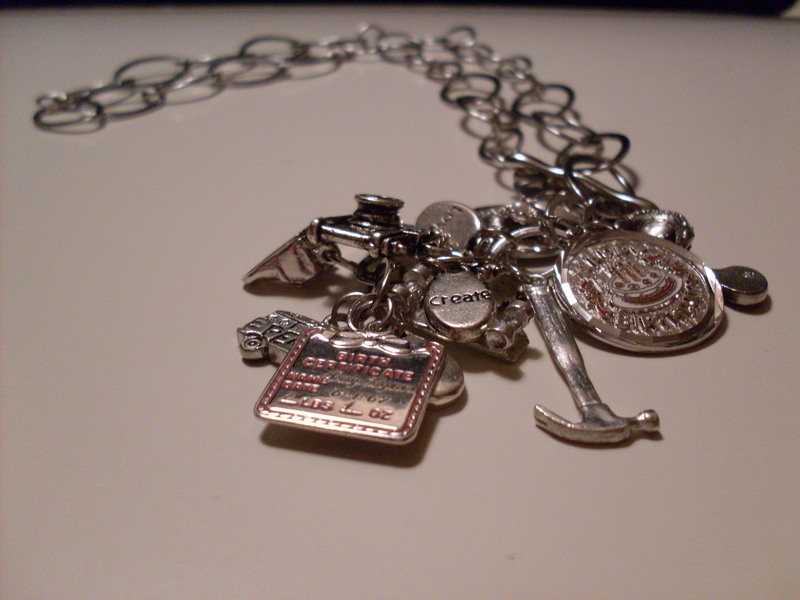 So, instead of a charm bracelet, the customer now has a charm necklace! I think it turned out great and the customer was very happy that she was finally able to wear the charms that her mother bought for her! 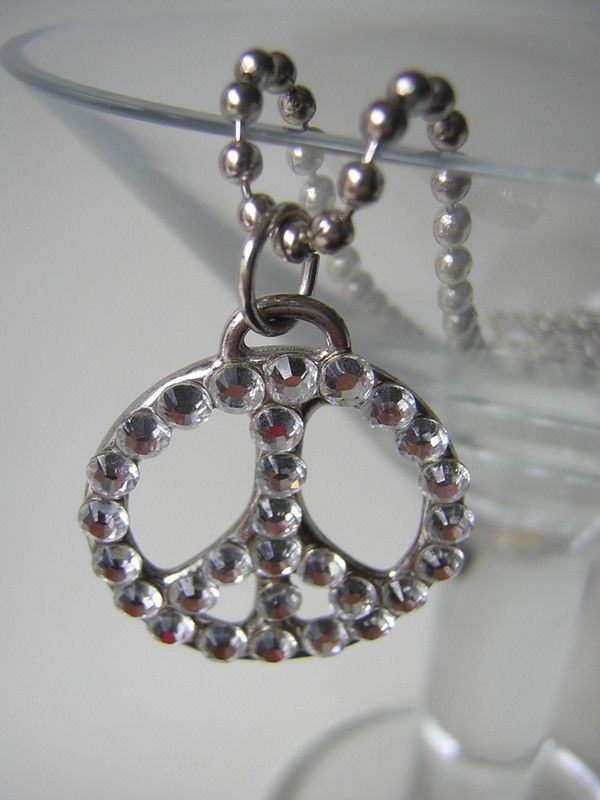 If you would like me to create a similar piece of jewelry for you, just contact me. Like many artists who are trying to sell their work online, I am always looking for ways to increase traffic. My most recent “experiment” is posting ads on craigslist and directing potential buyers to my Etsy shop. I posted my first ad three days ago and while I have had a few more visitors to my shop, there have been no sales yet. I have used craigslist many times in the past to sell household items, but never my own work. It remains to be seen if craigslist is like Ebay, where everyone is just looking for a deal. I will keep readers posted on the success–or not–I have using craigslist.